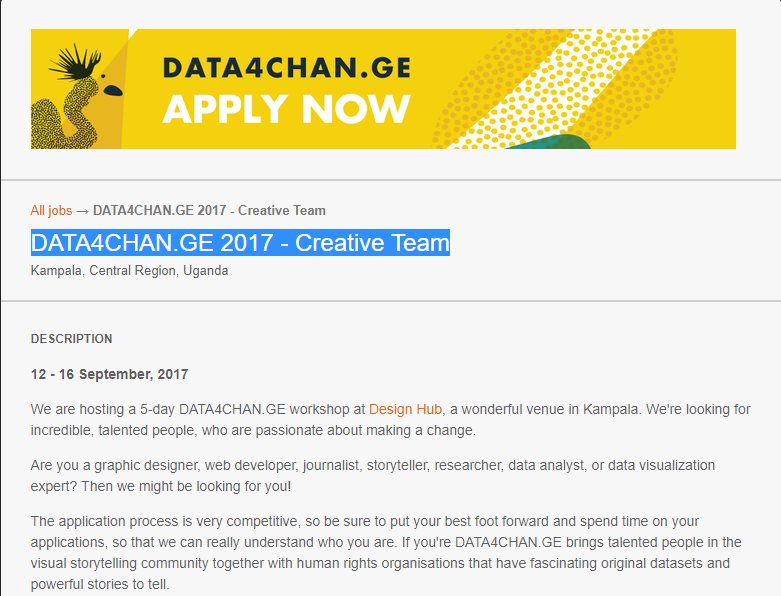 DATA4CHAN.GE workshop is a 5-day event at Design Hub, in Kampala. They're looking for incredible, talented people, who are passionate about making a change. 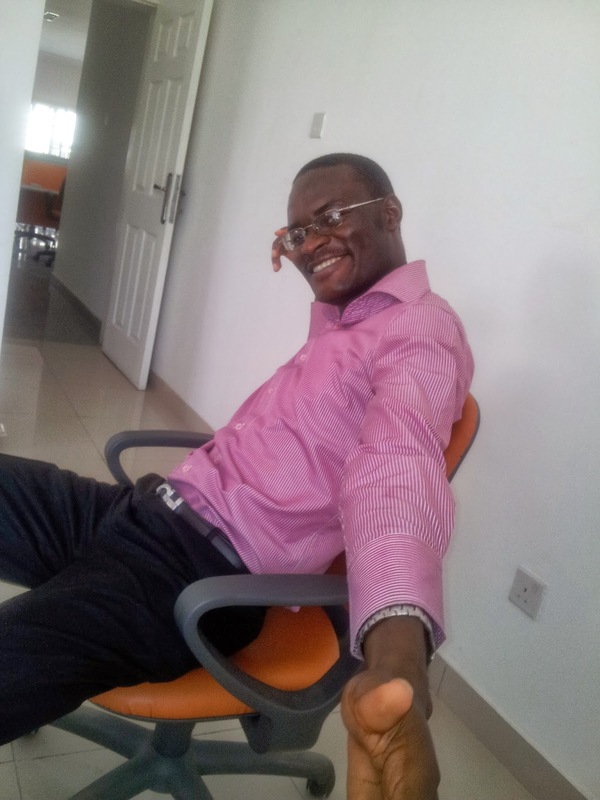 Are you a graphic designer, web developer, journalist, storyteller, researcher, data analyst, or data visualization expert? Then they might be looking for you! The application process is very competitive, so be sure to put your best foot forward and spend time on your applications, so that they can really understand who you are. DATA4CHAN.GE brings talented people in the visual storytelling community together with human rights organisations that have fascinating original datasets and powerful stories to tell. During the workshops, interdisciplinary teams consisting of data researchers, coders, UX designers, graphic designers and human rights organisations create data visualisations and devise innovative advocacy strategies. DATA4CHAN.GE is a workshop where HROs and the creative sector can collaborate to create data visualisations aimed at elevating public engagement and effective advocacy, which in turn could bring about real positive change.